Ahead of Indian Prime Minister Narendra Modi's visit to Washington, two influential U.S. Congressmen have introduced a bill revoking Pakistan's status as a major non-NATO ally (MNNA), saying Islamabad's "treachery" has led to the deaths of too many American citizens. Congressman Ted Poe (R-TX) and Congressman Rick Nolan (D-MN) have introduced H.R. 3000, a bipartisan bill revoking Pakistan's major non-NATO ally (MNNA) status. "It's time to break up with Pakistan," Texas Congressman Poe said when introducing the bill. "Pakistan must be held accountable for the American blood on its hands. For years, Pakistan has acted as a Benedict Arnold ally of the United States. From harbouring Osama bin laden to backing the Taliban, Pakistan has stubbornly refused to go after, in any meaningful way, terrorists that actively seek to harm opposing ideologies. We must make a clean break up with Pakistan, but at the very least, we should stop providing them the eligibility to obtain our own sophisticated weaponry in an expedited process granting them a privileged status reserved for our closest allies." "Time and time again, Pakistan has taken advantage of America's goodwill and demonstrated that they are no friend and ally of the United States," Nolan said. In 2004, the then-President George W. Bush had granted Pakistan MNNA status in an effort to get Pakistan to help the United States fight Al-Qaeda and the Taliban. MNNA status is significant as it provides enormous benefits to the country in the areas of foreign aid and defence cooperation. 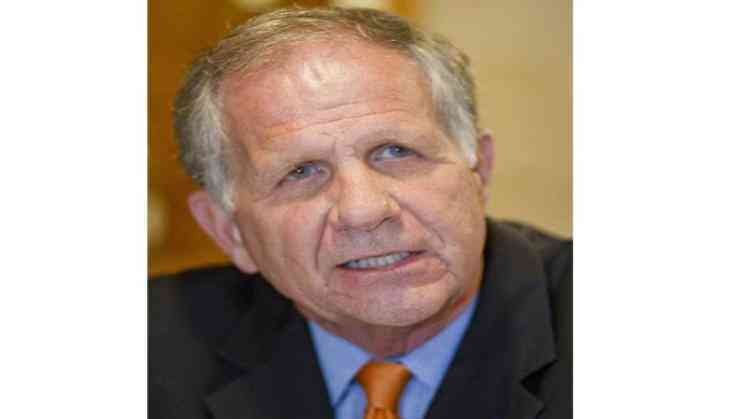 Poe, a member of the Foreign Affairs Committee has argued that Pakistan over the ensuing years "has in fact been no ally of the U.S."
Congressman Ted Poe represents Texas' Second District in the U.S. House of Representatives. He is a member of the Foreign Affairs Committee and serves as chairman of the Subcommittee on Terrorism, Non-proliferation and Trade. An MNNA country is eligible for priority delivery of defense material, an expedited arms sale process, and a U.S. loan guarantee program, which backs up loans issued by private banks to finance arms exports. "The fact is, the billions of dollars we have sent to Pakistan over the last 15 years has done nothing to effectively fight terrorism and make us safer. It is time to wake up to the fact that Pakistan has ties to the same terrorist organizations which they claim to be fighting. I am happy to join my colleague Congressman Poe in introducing this important legislation which will protect American taxpayer dollars and make us and the world safer," Nolan said. Richard Michael Nolan is an American politician and member of the Minnesota Democratic-Farmer-Labor Party who has been the U.S. Representative for Minnesota's 8th congressional district since 2013. Pakistan with MNNA status can also stockpile U.S. military hardware, participate in defence research and development programs, and be sold more sophisticated weaponry. In August 2016, then-Secretary of Defence Ash Carter withheld $300 million in military reimbursements because he could not certify that Pakistan was taking adequate action against the Haqqani network, as required by the NDAA.